Yes, it's over two months away but it's never too early to start planning for Halloween. 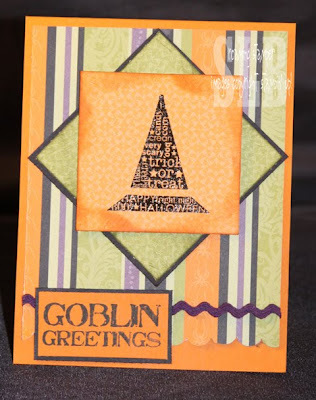 This card combines one of my favorite Halloween sets Eat, Drink, & Be Scary and a new set Grateful Greetings. It also features the great new Halloween inspired designer series paper Cast-A-Spell.